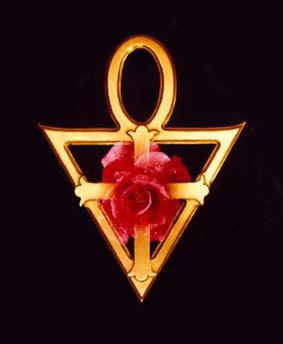 The Rosicrucian Order, AMORC is known internationally by its traditional and authentic title, the Ancient Mystical Order Rosae Crucis, from which is derived the acronym “AMORC.” The Ancient Mystical Order Rosae Crucis is the Latin form of the organization’s name, which literally translates into the Ancient Mystical Order of the Rose Cross. There is no religious connotation associated with this symbol; the Rose Cross symbol predates Christianity. The cross symbolically represents the human body and the rose represents the individual’s unfolding consciousness. Together, the rose and cross represent the experiences and challenges of a thoughtful life well lived. Thus, by our name and symbol we represent the ancient fraternity of Rosicrucians, perpetuating the true traditions of Rosicrucian movements from centuries past to the present day. The history of the Rosicrucian Order, AMORC, may be divided into two general classifications: traditional and chronological. The traditional history consists of mystical allegories and fascinating legends that have been passed down for centuries by word of mouth. The Rosicrucian Order’s chronological accounts are based on specific dates and verifiable facts. The Rosicrucian movement, of which the Rosicrucian Order, AMORC, is the most prominent modern representative, has its roots in the mystery traditions, philosophy, and myths of ancient Egypt dating back to approximately 1500 BCE. In antiquity the word “mystery” referred to a special gnosis, a secret wisdom. Thousands of years ago in ancient Egypt select bodies or schools were formed to explore the mysteries of life and learn the secrets of this hidden wisdom. Only sincere students, displaying a desire for knowledge and meeting certain tests were considered worthy of being inducted into these mysteries. Over the course of centuries these mystery schools added an initiatory dimension to the knowledge they transmitted. It is further traditionally related that the Order’s first member-students met in secluded chambers in magnificent old temples, where, as candidates, they were initiated into the great mysteries. Their mystical studies then assumed a more closed character and were held exclusively in temples which had been built for that purpose. Rosicrucian tradition relates that the great pyramids of Giza were most sacred in the eyes of initiates. Contrary to what historians affirm, our tradition relates that the Giza pyramids were not built to be the tombs of pharaohs, but were actually places of study and mystical initiation. The mystery schools, over centuries of time, gradually evolved into great centers of learning, attracting students from throughout the known world. Pharaoh Tutmoses III, who ruled Egypt from 1500 to 1447 BCE, organized the first esoteric school of initiates founded upon principles and methods similar to those perpetuated today by the Rosi­crucian Order, AMORC. Decades later Pharaoh Amenhotep IV was initiated into the secret school. This most enlightened pharaoh—history’s first monotheist—was so inspired by the mystery teachings that he gave a completely new direction to Egypt’s religion and philosophy. He established a religion which recognized the Aton, the solar disk, as being the symbol of the sole deity—the foundation of life itself, the symbol of Light, Truth, and Joy—and changed his name to Akhnaton to reflect these new ideas. And although the earlier religion was later reestablished, the mystical idea was put forth in human consciousness, and its flame never died. Centuries later, Greek philosophers such as Thales and Pythagoras, the Roman philosopher Plotinus, and others, journeyed to Egypt and were initiated into the mystery schools. They then brought their advanced learning and wisdom to the Western world. Their experiences are the first records of what eventually grew and blossomed into the Rosicrucian Order. The name of the Order, as it is now known, was to come much later. However, the Rosicrucian Order always perpetuated its heritage of ancient symbolism and principles. It was in the time of Charlemagne (742-814) that the French philosopher Arnaud introduced the mystical teachings into France, and from there they spread to much of Western Europe. Throughout medieval Europe mystical knowledge was often necessarily couched in symbolism or disguised and hidden in the love songs of Troubadours, the formularies of Alchemists, the symbolical system known as the Kabbalah, and the rituals of Orders of Knighthood. While much of medieval Europe lay in darkness, the highly advanced Arab civilization preserved a large body of the mystical teachings through texts translated directly from the great libraries of the ancient world, such as Egypt’s Alexandria Library. Philosophy, medicine, mathematics, and alchemy were all important subjects preserved in these libraries and later transmitted to Europe by way of the Arabs. Alchemy—the art of transmutation—came into prominence with the Alexandrian Greeks. It was then introduced to the Arabs, who then transmitted this art and forerunner of chemistry to Europe. The alchemists played a tremendous part in the early history of the Rosicrucian Order. While many alchemists were interested in making gold, some were more concerned with the transmutation of human character. European alchemists and Knights Templar, in contact with the Arab civilization at the time of the Crusades, brought much of this wisdom to the West. In Europe the transcendental alchemists—mystics and philosophers—sought to transmute the base elements of human character into the more noble virtues and to release the wisdom of the divine self within the individual. Some of the renowned alchemists who were also Rosicrucians or were closely associated with them were Albertus Magnus, Roger Bacon, Paracelsus, Cagliostro, Nicholas Flamel, and Robert Fludd. As the old saying goes, “The truth shall make you free.” Consequently, those who sought Truth and attempted to expound it to their fellow humans became the objects of persecution by tyrannical rulers or narrow religious systems. For several centuries, due to the lack of freedom of thought, the Order had to conceal itself under various names. However, in all times and places the Order never ceased its activities, perpetuating its ideals and its teachings, participating directly or indirectly in the advancement of the arts, sciences, and civilization in general, and always emphasizing the equality of men and women and the true solidarity of all humanity. As the Renaissance burst upon Europe with a flash of new interest in the arts and sciences, a mysterious publication printed in seventeenth century Germany and called the Fama Fraternitatis heralded a renewed interest in Rosicrucianism throughout Europe. The Fama introduces Christian Rosenkreuz, a mythical character who was said to have traveled to centers of learning in the Near East and who personified the revived interest in esoteric studies and mystical learning. In the late seventeenth century, following a plan originally proposed by Francis Bacon in The New Atlantis, a colony of Rosicrucian leaders was organized to establish the Rosicrucian arts and sciences in America. In 1694 Rosicrucian settlers made the perilous journey across the Atlantic Ocean in a specially chartered vessel, the Sarah Maria, under the leadership of Johannes Kelpius, master of a Rosicrucian Lodge in Europe. Landing in Philadelphia, the colonists established their first settlement and later moved further west in Pennsylvania to Ephrata. These Rosicrucian communities made valuable contributions to the newly emerging American culture in the fields of printing, philosophy, the sciences, and arts. Later such eminent Americans as Benjamin Franklin, Thomas Jefferson, and Thomas Paine were intimately connected with the Rosicrucian community. In fact, many Rosicrucians played an important role in the great alchemical and social process leading to the founding of a new nation. Throughout history, there have been periods of greater and lesser activity of Rosicrucianism around the world. While inactive in the Americas during the nineteenth century, the Order was very active in France, Germany, Switzerland, Russia, Spain, and other lands during this time. In 1909 the American businessman and philosopher, H. Spencer Lewis, journeyed to France, where he was duly initiated into the Rosicrucian Order and chartered with the responsibility of renewing Rosicrucian activity in America. With H. Spencer Lewis as its president, the Rosicrucian Order, AMORC, was incorporated in 1915 in New York City. In 1927 the Order moved its headquarters to San Jose, California—the site of present-day Rosicrucian Park. Over the past 100 years millions of people have been students of the Rosicrucian teachings. From the beginning, both men and women have played an equal role in the Rosicrucian Order, without regard to religion or race. Throughout history a number of prominent persons in the fields of science and the arts have been associated with the Rosicrucian movement, such as Leonardo da Vinci (1452-1519), Cornelius Heinrich Agrippa (1486-1535), Paracelsus (1493-1541), François Rabelais (1494-1553), Theresa of Avila (1515-1582), John of the Cross (1542-1591), Francis Bacon (1561-1626), Robert Fludd (1574-1637), Jacob Boehme (1575-1624), René Descartes (1596-1650), Blaise Pascal (1623-1662), Baruch Spinoza (1632-1677), Isaac Newton (1642-1727), Gottfried Wilhelm Leibnitz (1646-1716), Benjamin Franklin (1706-1790), Thomas Jefferson (1743-1826), Michael Faraday (1791-1867), Ella Wheeler Wilcox (1850-1919), Marie Corelli (1855-1924), Claude Debussy (1862-1918), Erik Satie (1866-1925), and Edith Piaf (1916-1963). Today’s Rosicrucian legacy consists of a vast collection of knowledge which has come down to us through many centuries to enrich the cultural and spiritual heritage of AMORC. To the knowledge passed on by the sages of ancient Egypt were added philosophical concepts expressed by the great thinkers of ancient Greece, India, and the Arab world. Then, a few centuries later, the mystical precepts of Rosicrucian alchemists of the Middle Ages were formulated, followed by the vast expansion of knowledge which occurred from the Renaissance to the present day. As you can see, Rosicrucian ideas and our unique process and method of inner development have been developed over many centuries. Thus, a large number of mystical laws and principles which are explained in our monographs are the product of the ongoing studies and experimentation which mystics of the past have performed to pierce the mysteries of nature and the universe. In the twenty-first century we feel strongly that these teachings will play an increasingly important role in humanity’s evolution. With fast-paced technological advancement and its effects upon the environment and the human psyche, people are searching for an inner, ever-reliable source of strength and balance. Perhaps now more than ever, we are reaching out for understanding, for mystical illumination, for spiritual guidance, for harmony and peace. Through its unique system of instruction and its humanitarian ideals, the Rosicrucian Order, AMORC, offers a beacon of light to all who seek the answers to life’s questions by following this inner path to wisdom. "As mystics throughout time have found, the road to discovery, to peace and enlightenment is a journey into Self. There is more to our conscious being than we realize and it is from within that we find the keys that unlock our inner wisdom. It is from within that we can connect with the source of knowledge that lies beyond the limits of our five senses."